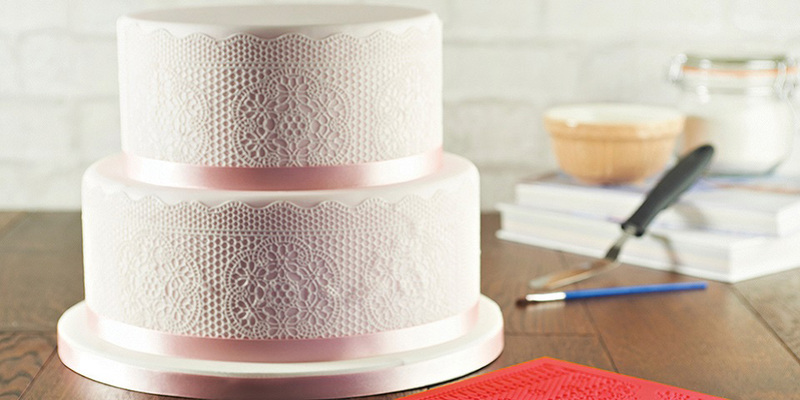 Prepare your fondant lace mix as per the manufacturers instructions. 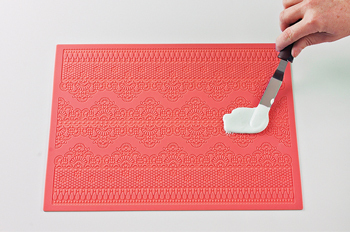 Pour a small amount of the mix onto the mat and spread with a spatula to work the mixture into the pattern on the mat. Spread the mixture in all directions to ensure that no air bubbles get trapped in it. 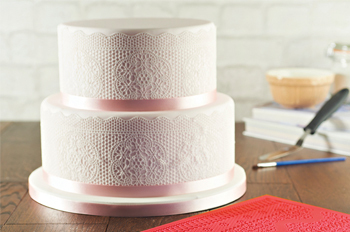 Ensure that any excess mixture has been scraped away from the surface of the lace and mat. Place the mat into the oven and bake as per the manufacturer’s instructions, and allow to cool for around 5 minutes. 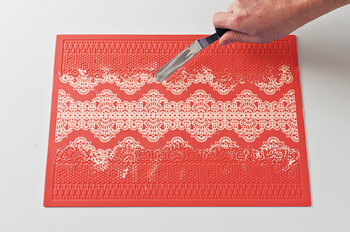 Working quickly, place the mat face down on a flat work surface and gently tease the lace out of the mat on one side.